In a glass cup, combine the dates, sunflower seeds and sea salt. Mix well. Then incorporate the cinnamon into the yogurt; stir well. 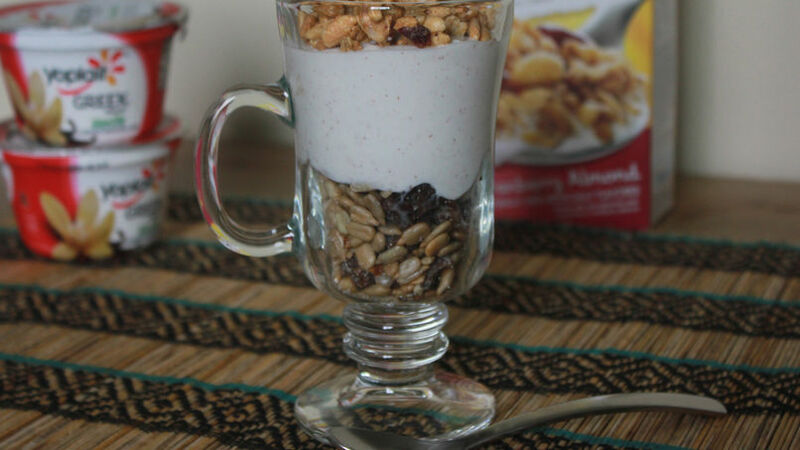 Last, transfer the yogurt to the cup and top with cereal and some sunflower seeds. You can use any type of cereal or even switch the dates for cherries. Toasted pumpkin seeds also make a good substitute for sunflower seeds. I love preparing a different breakfast every day; it’s one of those meals that lets you adjust the number of ingredients, temperature and even when you eat it. One of my favorita foods is Greek yogurt, since it can be prepared in so many deliciosa ways, like in smoothies or parfaits. Recently, just using and combining what I had at home, I came up with this rico recipe for yogurt with dates that will simply delight you.